This is your chance to taste an iconic game show with a twist. 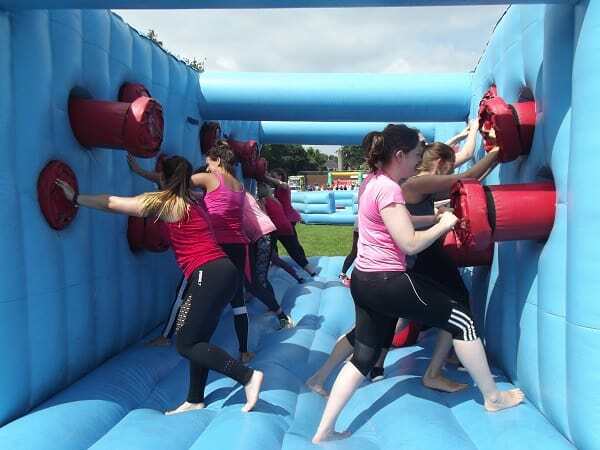 Based on the smash hit tv series Total Wipeout, teams must battle it out to win side-splitting games and events. 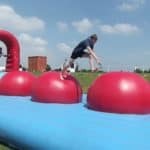 Think giant pyramids, inflatable obstacles courses, tons of foam and of course the iconic big red balls. 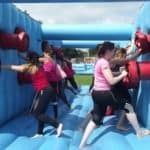 Will your team have what is takes to power across the challenging inflatable punch wall? 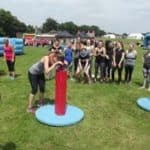 Games can either be continuous team relays, which get everyone involved in a fun, competitive environment; or individual challenges – perfect for learning more about management, communication and delegation. 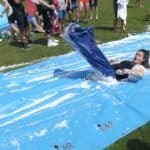 Our experienced event manager and hilarious MC will ensure your Wild Wipeout tournament runs smoothly and everyone has an unforgettable time on the course. 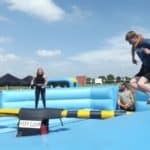 Our excellent events team will ensure the atmosphere is buzzing as teams battle to become crowned the Wild Wipeout winners! 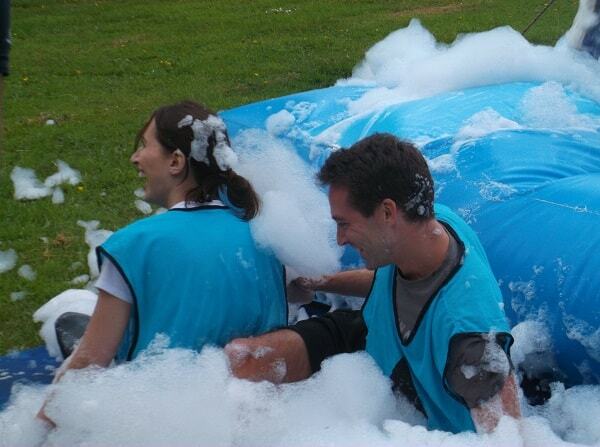 Limber your teams up, pick some ingenious team names and get ready for a team building battle like no other! 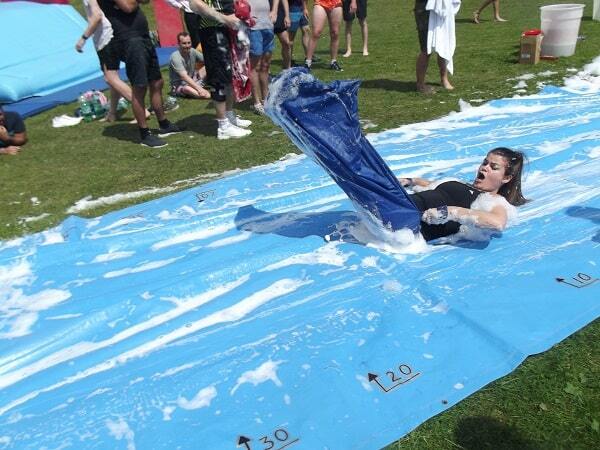 Below are our favourite challenges you can expect to wipe out your colleagues. (Games are subject to availability). You’ve heard of Zorb running—but have you ever heard of a Zorb relay? 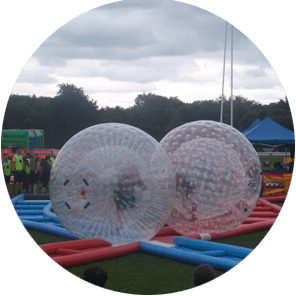 This ‘X’-treme version of Zorbing combines a head-to-head relay race with an X-shaped track, for the most frantic contest ever! Mayhem is guaranteed! 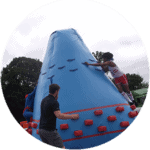 Scramble up the Perilous Pyramid, and catch your opponent before they catch you! Getting to the summit is just the start. The aim of the game is to work your way around to your opposite number, quickly enough to tag them. 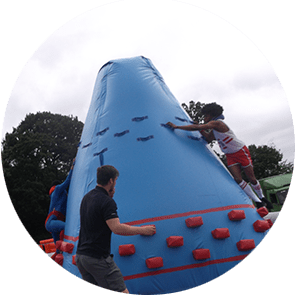 Can you hold onto the blow-up blocks long enough to get there, or will you lose your footing and tumble to the bottom of the inflatable monument? 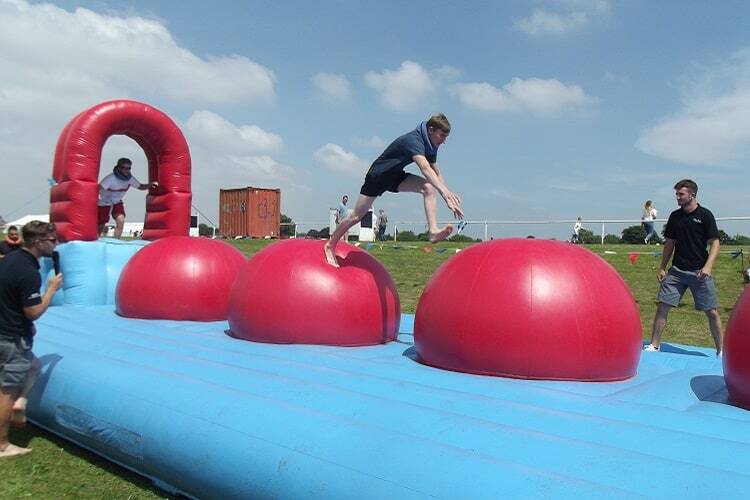 Have you got the courage to beat the Big Red Balls? 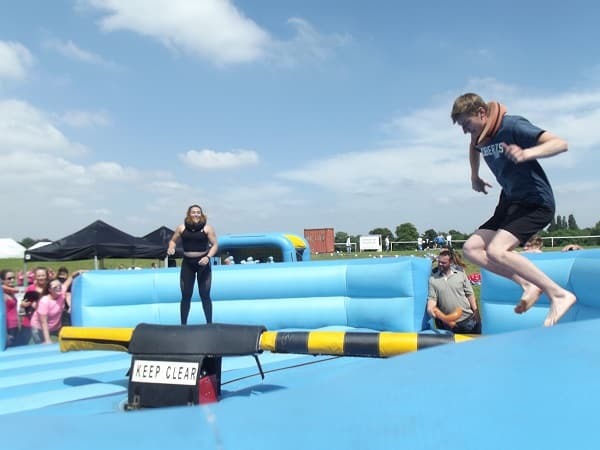 Leap like Indiana Jones from ball to ball to qualify for a victory slide at the end. If you don’t make it, you’ll have to scramble back up and try again. 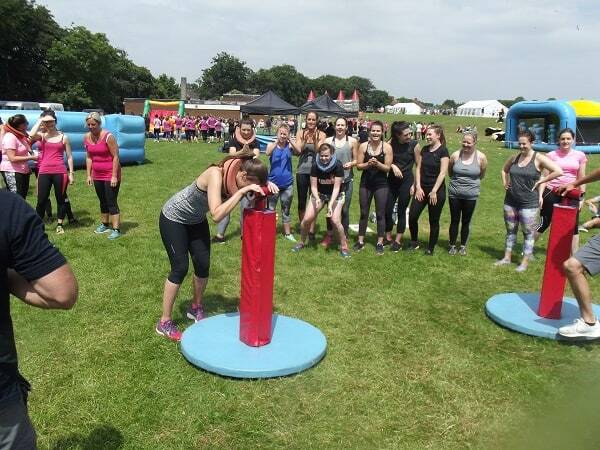 To add more competition to this challenge we can install two Big Red Balls courses for your event so you can have two teams racing against each other (this will incur an additional cost). 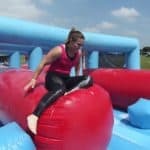 This inflatable challenge is a test of determination! You’ll need every ounce of skill and balance as you use a massive blow-up wrecking ball to knock your opponents off four spinning podium. In addition to spinning, each podium is seriously unstable. The winning team is the one with the fewest knockouts incurred at the end of the round.